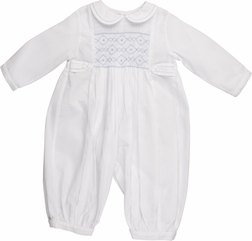 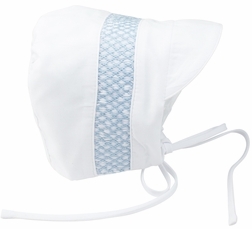 Lovely white or white with blue smocked long bubble for little boys by Feltman Brothers. 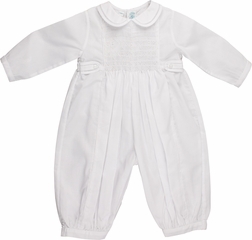 The bubble has a Peter Pan collar and side button tabs. 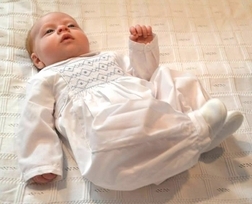 Sweet for coming home outfit and baby portraits or even Christening.